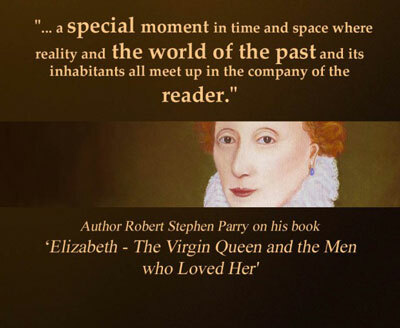 These pages are designed to accompany your reading of 'Elizabeth - the Virgin Queen and the Men Who Loved Her' by Robert Stephen Parry. The MENU above will take you to a portrait of each of the significant men in Elizabeth Tudor's life - the courtiers, the friends or perhaps even lovers she would have known both as princess and as queen. There is also a page about how the cover was made and some videos. Please feel free to share anything you find here. Elizabeth - the Virgin Queen and the Men who Loved Her’ takes us back to England’s Golden age. The Tudor dynasty reached its heights under the reign of Elizabeth, and the brilliant courtiers who surrounded and admired her are numbered among history's most famous and celebrated individuals. From the shrewd and clever statesmen to the swashbuckling heros, from William Cecil to Robert Devereux, the main players in the Elizabethan court are featured in the book. It is an entertaining blend of fact and fantasy. If you haven’t already got a copy CLICK HERE. 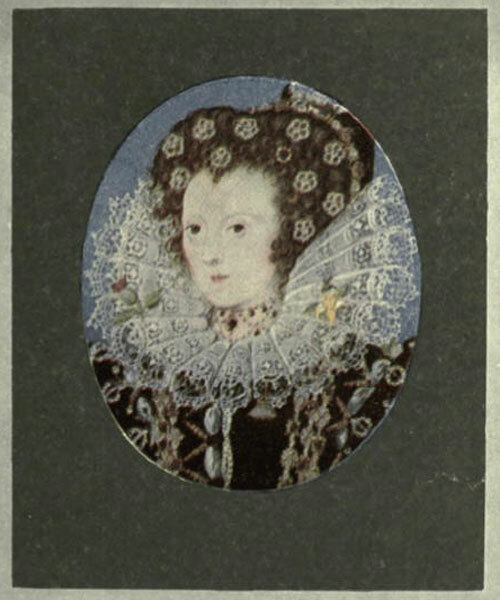 Queen Elizabeth I by Nicholas Hilliard. From 'Portrait Miniatures' by Dr.G.C.Williamson.